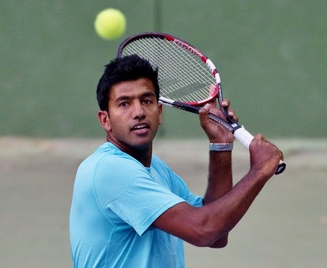 The Indian professional tennis player is Rohan Bopanna. 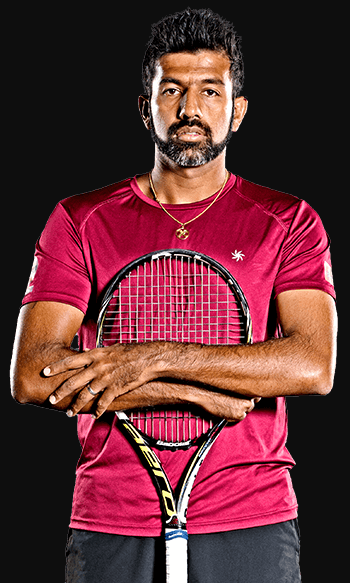 From 2002, he is a member of the Indian Davis Cup team. He was ranked World No.3 in tennis doubles in the year in 2013. Rohan was born on 4 March 1980 at Coorg, Karnataka. Recently, he lives at Bengaluru, India. He was born to M. G. Bopanna who is a coffee planter and Malika Bopanna who is a housewife. He has a sister named Rashmi. He attended Sri Bhagawan Mahaveer Jain College. Rohan’s weight is 87 kg and height is 1.90 m. Overall, he has the balanced and healthy body. In 2007, he made himself India’s finest double player. That year he lost the single matches but on the double matches. In 2008, he won the men's doubles title at the 2008 Countrywide Classic. In 2009, he lost all matches. In 2010, at the 2010 US Open, he reached the finals of a Grand Slam tournament for the first time. He also played in India’s 2010 Davis Cup triumph. In 2011, he participated in the 2011 ATP World Tour Finals in London but lost the match. In 2012, he and his partner Mahesh Bhupathi won the Paris Masters Cup. In 2013, he was ranked number 3 in doubles. At 2017 French Open he made his grand slam title which made him fourth Indian player to win a Grand Slam Title. At 2018 Australian Open, he along with his pair Timea Babos reached the finals but lost at the end. This was his second Grand Slam Mixed doubles final. Rohan is a married man. He is married to Supriya Annaiah who is a psychologist in 2012. The couple has a son. Rohan’s net worth is estimated to be $3.2 million. He donates part of the profits generated by sales of ‘Stop War Start Tennis’ merchandise to GoSports Foundation.